Main difference in the new version on the right are giant direction arrows along the route. There are also arrows showing which streets are one way at this zoom level – helpful in downtown San Francisco. It still doesn’t direct you to an entrance though, pretty key for a giant convention center. Providing entrances instead of just dropping users off at a point (technically correct, but not that useful for wayfinding) is one of the new features they’re working on. 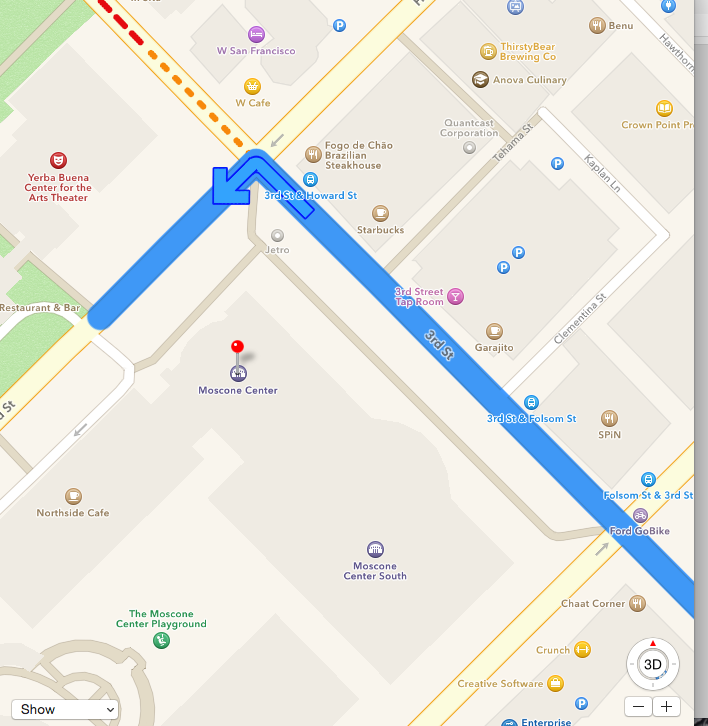 In the new Apple maps, drivers get more direction with giant blue arrows but where you enter the building is still unclear. You want to be on time for that WWDC Keynote! Far left (June 29) middle (July 5) far right (July 12.) In the latest version, it’s now a working map of the entire park. The entrance still isn’t clearly marked, but now you can use your phone to find to the Cat Kingdom once you’re inside. Slimming down the Great Highway? This was one of the trickiest to match the zoom level – but it looks like you lose some details here from the old (left) to the new (right) from the footprint of the Beach Chalet to the parking and bathrooms. And the Great Highway is noticeably slimmer. Here’s a look at the area around the cable-car turnaround on Powell Street. 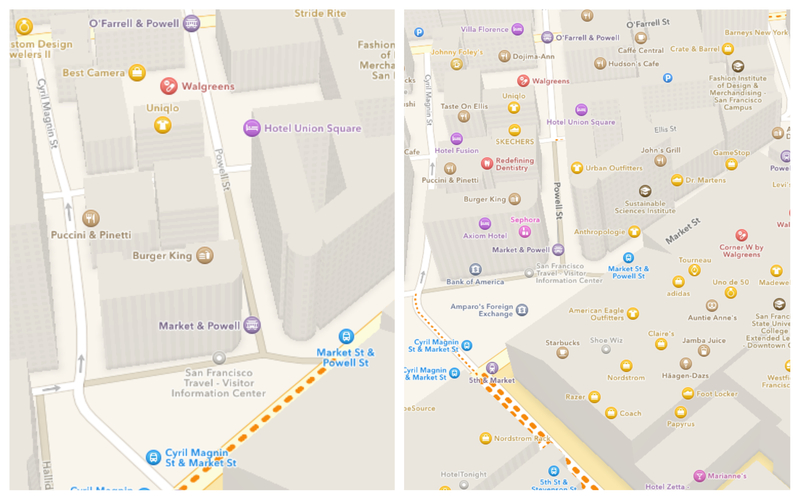 The new version (right) provides has a ton more detail — but doesn’t zoom in as far — and the shading has changed. 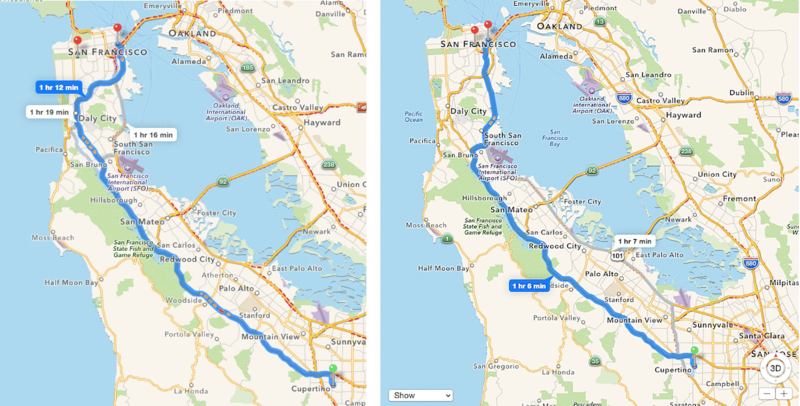 There were a ton of screenshots of the older version of Apple maps that hadn’t changed enough to be worth posting here. Next time, I’ll get more of the 3D buildings in detail as well. 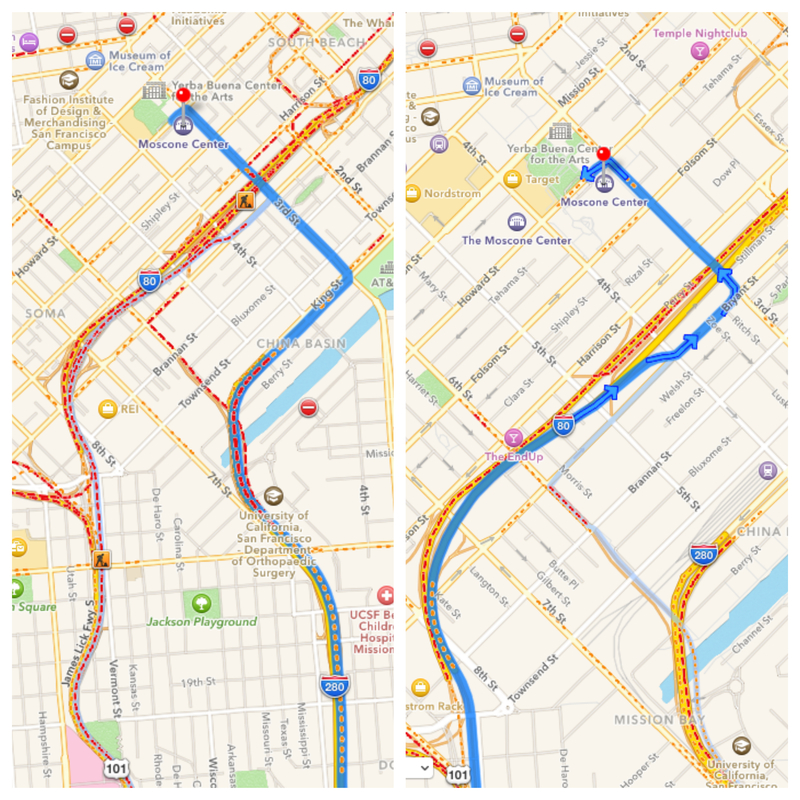 This entry was posted in data and tagged Apple Maps, new apple maps, San Francisco by . Bookmark the permalink.